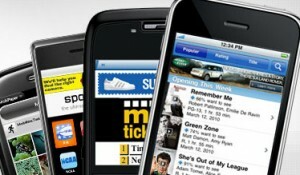 What is a mobile website? Ever tried to visit your own website from a smartphone? Ever tried to visit your own website from a smartphone? With more people searching on the web from their mobile devices rather than searching on their desktop computers, it’s never been more important to ensure your website represents your business professionally when it matters the most. This is why it’s essential that you offer your customers a mobile web-friendly version of your website. Many websites are built using flash, others are hard to navigate on a small screen, and some takes a while to load. In serious cases, websites may not load at all. You might think it’s not important or it’s not necessary to have one, but if you realized how much more you are engaging your customers and how much more it makes a difference on your bottom line I bet you’d be running to find someone to create one for you. Luckily GalaxyText has all the elements of a competent mobile marketing company. You need to understand that what is a mobile website develop cannot be created as a regular website. Anyone who tells you this does not understand what mobile websites are. 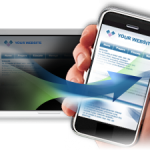 You cannot create a regular website to be mobile friendly, that is on your PC or Mac. It needs to be done in html5, a language used to create mobile websites. The problem with creating a regular website to be mobile friendly is that it takes a long time to load and may not load at all. It doesn’t give pertinent information to your customers. If you’re curious about mobile websites I say find a company that knows what they’re doing. 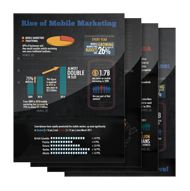 Still wondering what is a mobile website? Contact GalaxyText today.